The 4th of July is a time that many in America spend celebrating with their families. If you have a holiday BBQ planned for this holiday season, you'll want to ensure the comfort and safety of your guests by protecting your yard from pests that can pose a hazard to them. These common yard intruders include fleas, ticks, and mosquitoes, each of which carries their own unique health risks for you, your loved ones, and your pets. Below are some helpful tips to keep away these pesky guests that often show up uninvited. If you have furry family members, it's important to protect them from fleas. Fleas are considered parasites since they feed off blood from human or animal hosts. Since they love warm weather, they abound in the summer months. As your pets play in the backyard, they can pick up these unwanted guests on their coats and bring them inside the house with them. Fleas multiply quickly and a minor problem can quickly turn into an infestation that affects your entire home and disrupts your lifestyle. Their bites are more annoying than painful, but this doesn't mean they don't come with health risks. Fleas can carry a variety of diseases that can affect human health, as well as cause heart worm in your pets. If you detect a flea problem, it's important to call a qualified pest control company promptly before the issue gets out of hand and becomes harder to treat. Ticks are another type of parasite commonly found in and around the yard. They can easily attach themselves to your pets coarse hair and bite them, where they remain attached with their heads burrowed beneath the skin so they can feast on the blood of their host. Ticks bite humans and animals both, and can carry with them a variety of diseases such as Lyme disease, rocky mountain spotted fever, and many others. These illnesses can have serious consequences for humans and animals alike, so it's important to be on the lookout for ticks and treat any infestations promptly and thoroughly. We are all familiar with these tiny but obnoxious pests. Mosquitoes thrive in the warm and humid climate that is present across most of the United States throughout the summer months. Mosquitoes bite relentlessly in a search for a food source, and these bites itch or can even cause allergic reactions in some individuals and animals. Aside from being a true annoyance, mosquitoes can carry a variety of diseases the same as ticks and fleas, making them a potential danger to the health of your human and animal guests. Aside from contacting All-Pro Pest Control to remedy any infestations you may have, there are a few other helpful tips you can employ to keep your backyard BBQ clean and safe this holiday season. These are briefly listed below. The summer months are often spent hosting family gatherings, parties, and other important celebrations. We know you value the health and enjoyment of your guests. Let us take the extra worry of pest control off your hands. 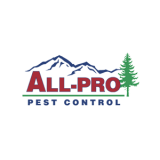 Give All-Pro Pest Control a call today to schedule your appointment and keep your 4th of July BBQ safe and fun.